This 3 double bedroom penthouse apartment, with it's large roof garden, extends across the whole of the fourth floor of the building and enjoys commanding and uninterrupted views of the channel. On a fine day the views extend from the Severn Bridge in the east to the North Devon coast in the west. 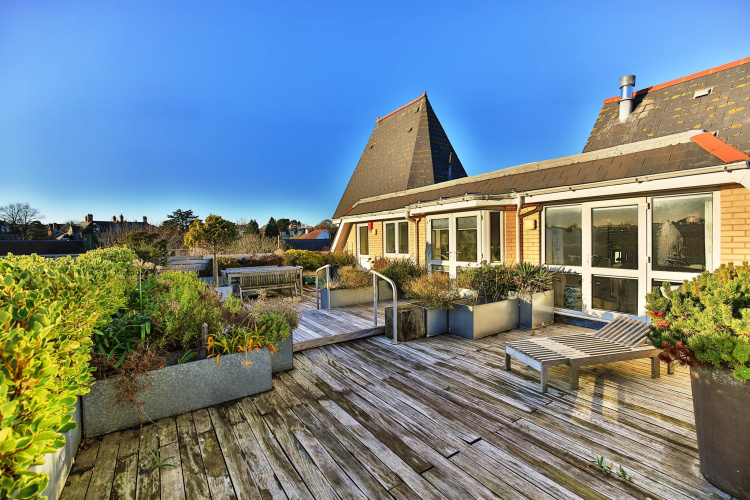 The penthouse apartment, which has a large private roof garden and no onward chain, extends across the whole of the fourth floor of the building and enjoys commanding and uninterrupted views of the channel. On a fine day the views extend from the Severn Bridge in the east to the North Devon coast in the west. 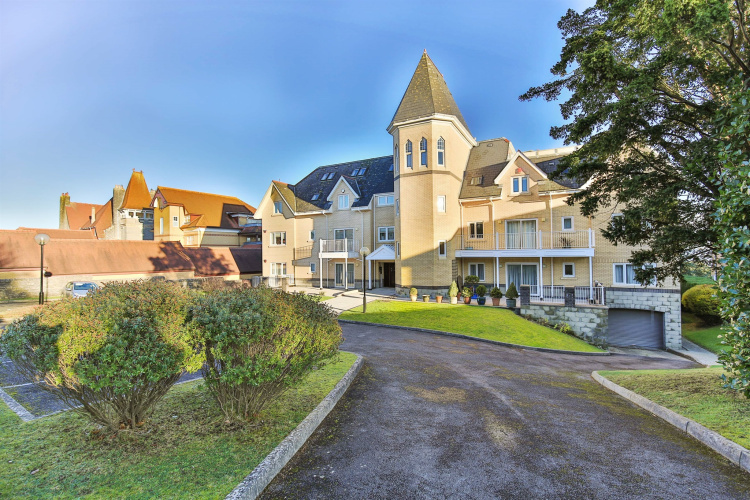 This very prestigious development is set in well maintained and gated grounds which are adjacent to Windsor Gardens and the well regarded promenade with a choice of restaurants and the pier. 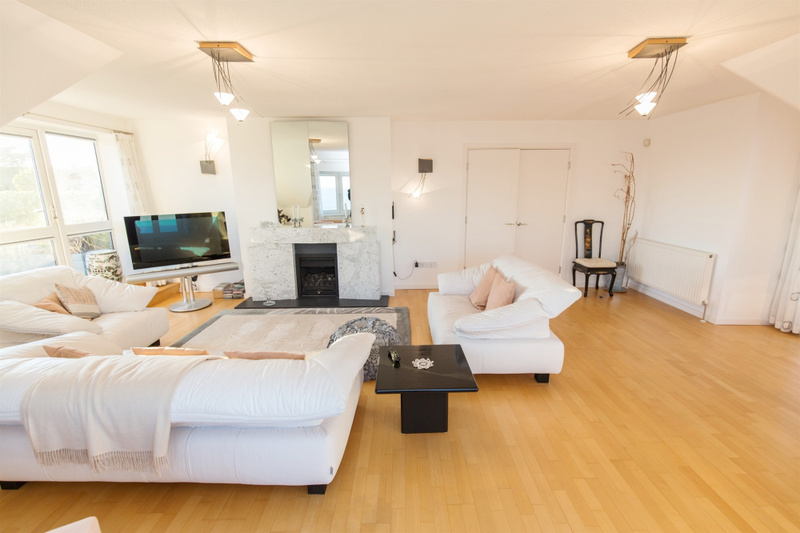 The apartment, which has a lift to the private landing, enjoys particularly spacious accommodation. 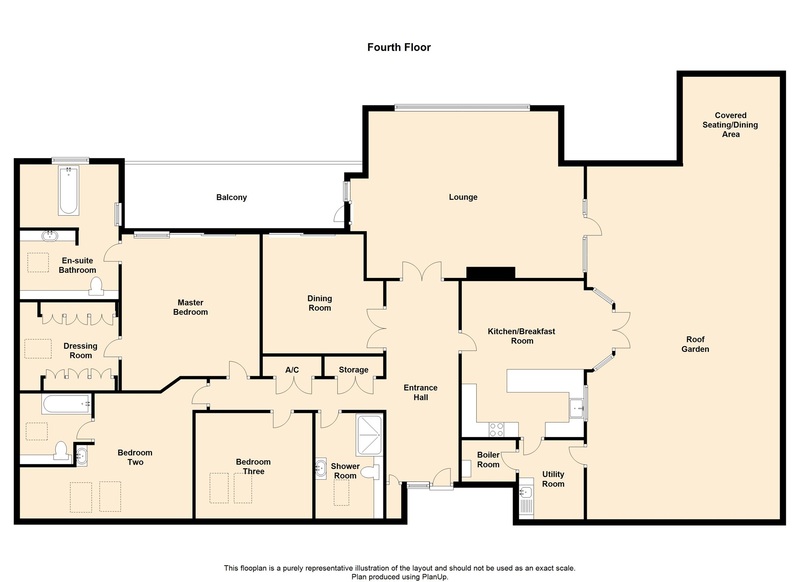 This briefly comprises a very large and light reception hallway, a 24ft lounge with access to the roof garden and a further balcony area, a separate dining room, a fitted kitchen/breakfast room with built-in appliances and granite work surfaces, a utility room and separate boiler room, the master bedroom suite with a full en-suite bathroom and a dressing room, two further double bedrooms - one with an en-suite bath/shower room, plus a further shower room/wc. Internal features include double glazing and gas central heating. 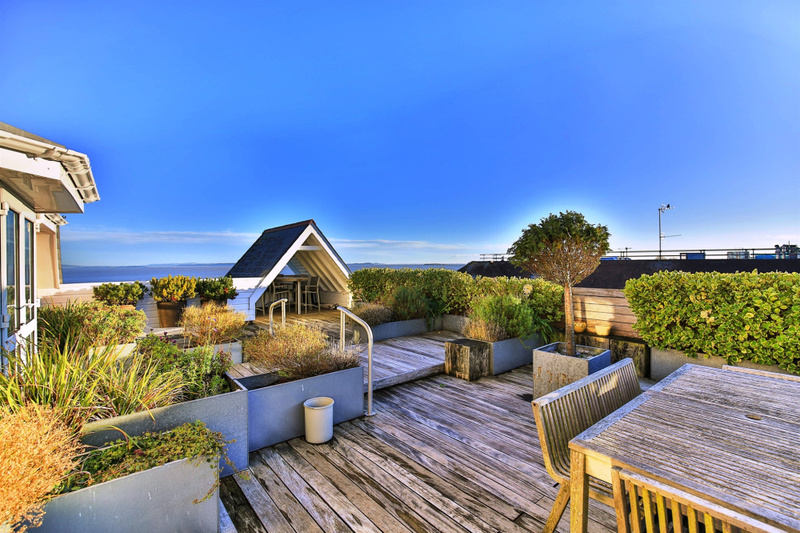 The outstanding feature of the apartment is the magnificent decked roof garden with seating and dining areas enjoying a very sunny aspect, and an additional covered area for al-fresco dining in cooler weather. Across the rear of the apartment there is a 24ft balcony which can be accessed from the lounge, dining room and master bedroom. 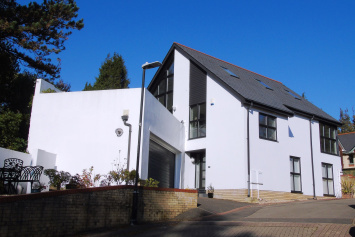 There are excellent road links leading to Cardiff city centre as well as the M4 motorway. 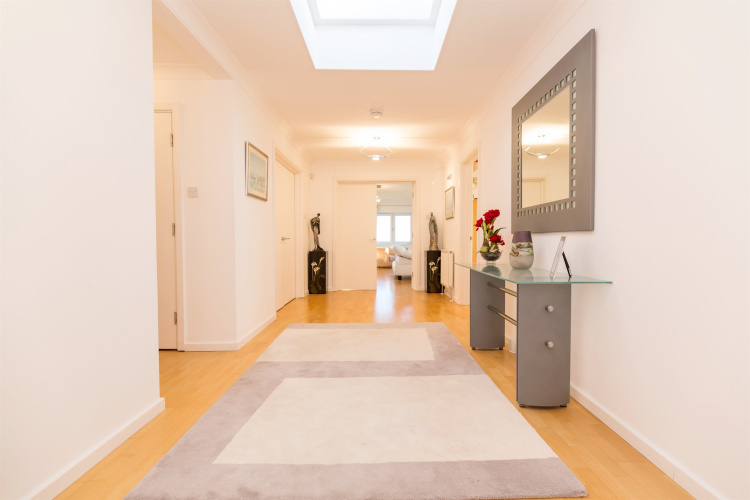 Bridgeman Road is very convenient for the local schools, both private and state schools at all levels. 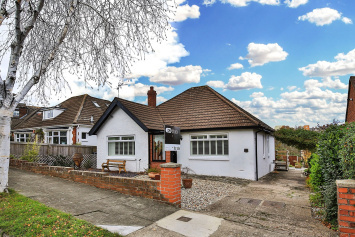 The property is just a short drive away from the railway station and the town centre. Penarth itself offers a full range of amenities including a varied shopping centre, a renowned seafront esplanade and pier, beautiful parks, and some wonderful bars and restaurants for dining. Cardiff International Airport is approximately 30 minutes away and Cardiff Bay is close to hand. The reception hall is entered via a hardwood glazed door, controlled by a video entry intercom system with an additional key code access pad.. The hall has a fitted carpet and there is a lift to the fourth floor. A doorway also leads to the stairwell. A private landing for the penthouse apartment, with a large window overlooking the front gardens and parking area. 'Beech' wood flooring. Entered via a front door with glazed side panels. A very spacious and bright reception hall with natural light from an atrium style roof light window. Built-in storage cupboard. Two separate radiators. Fitted wall lights. Coving to the ceiling. Video entry-phone. From the main hallway there is an inner hall with a built-in double door airing cupboard and a further double door large storage/cloaks cupboard. 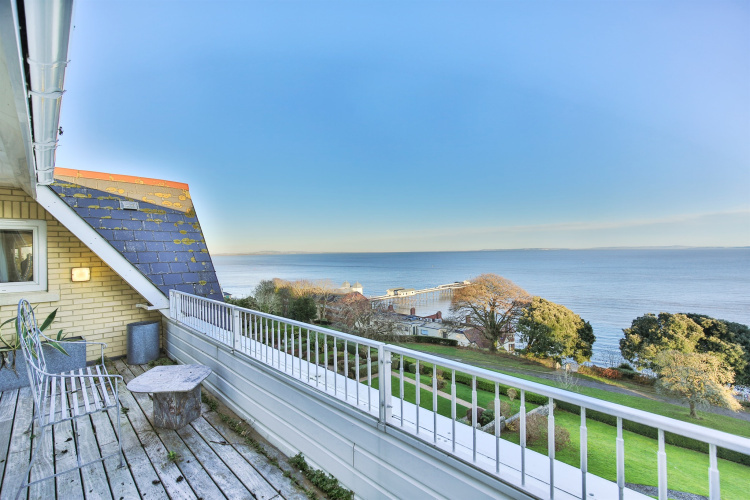 Enjoying outstanding views across the channel towards Steep Holme, Flat Holme and the West Country, this is a very bright and generously proportioned room. 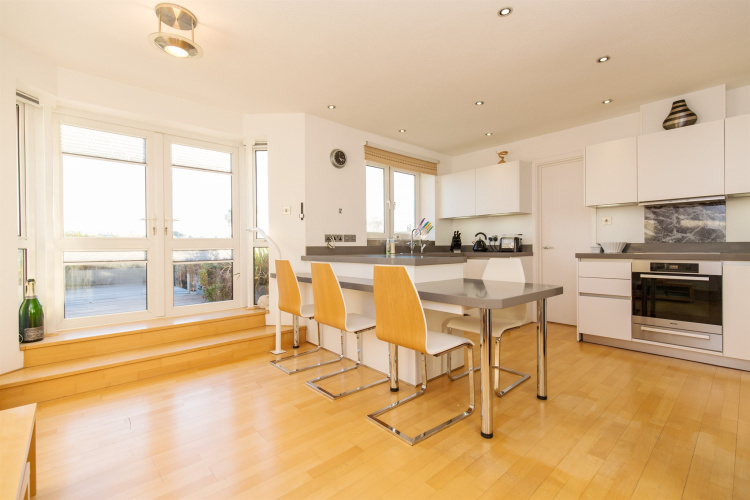 From the lounge there are double glazed French doors and double glazed full length side panels (both with fitted blinds) leading out to the Roof Garden, and a further double glazed door leads out to the large balcony which also overlooks the channel. The focal point of the room is the impressive marble fireplace with a slate hearth and fitted with a coal effect fire. 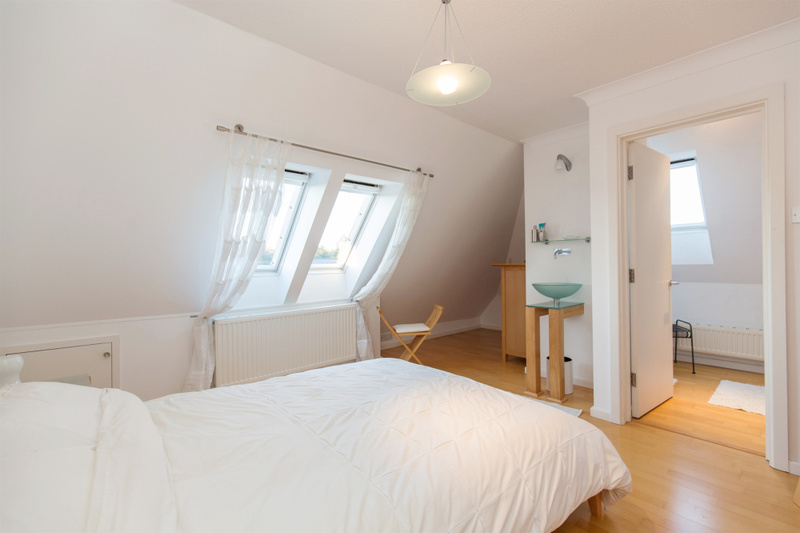 The room is heated by three separate central heating radiators. Ample power points. TV aerial connection. From the dining room double glazed sliding patio doors lead to the large balcony which enjoys panoramic views from the Seven Bridge, across the Bristol Channel and down the channel towards North Devon. Radiator. Fitted wall lights. Coving to the ceiling. Ample power points. 'Beech' wood flooring. A very useful storage area with a wall mounted Worcester Bosch gas central heating boiler. Fitted wall cupboard. Power points. 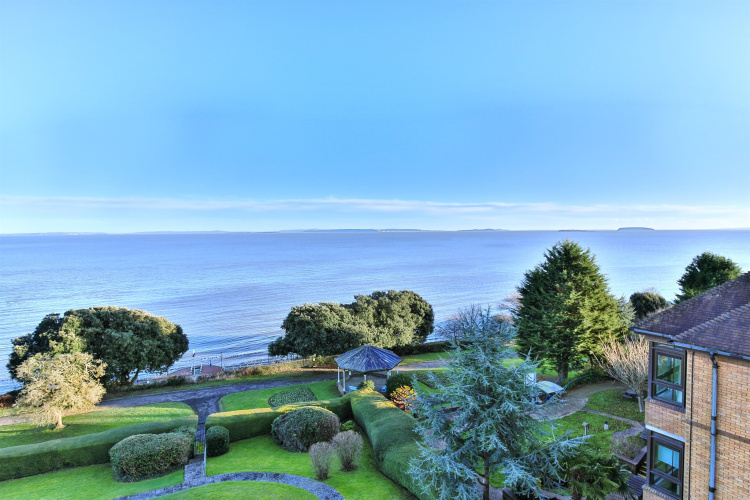 A generous master bedroom with double glazed sliding patio door and full length double glazed window to the balcony, enjoying stunning water views across the channel. Two separate radiators. Fitted wall lights. TV aerial point. Telephone point. Doors to the en-suite bathroom and the separate dressing room. 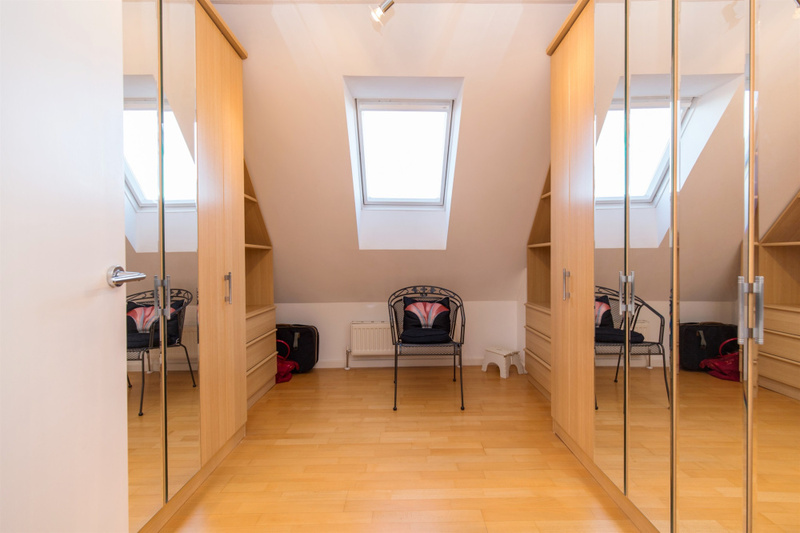 The dressing room has fitted wardrobes with mirrored doors to two sides of the room, as well as fitted shelving and storage drawers. Radiator. Double glazed roof light window. 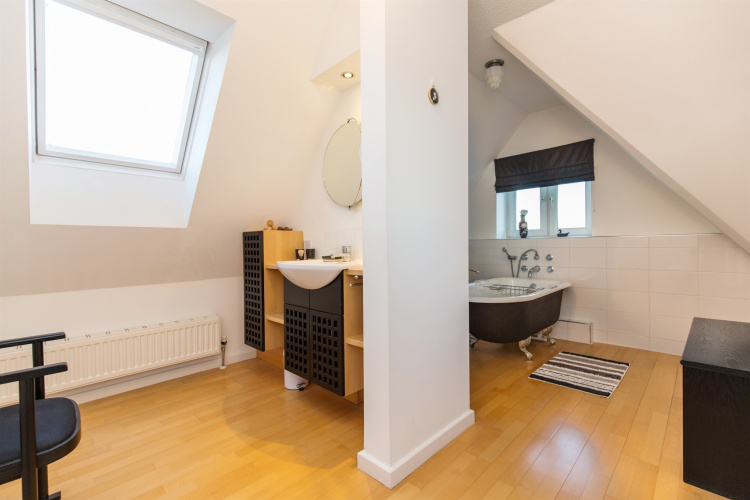 Fitted with an attractive white suite comprising a freestanding period style bath with mixer tap and handheld shower attachment, a wc with a concealed cistern and a vanity unit with an inset wash hand basin, storage cupboards and shelving. Ceramic tiled splash areas. Shaver point. Ventilation extractors. Radiator. Inset lighting to the ceiling. 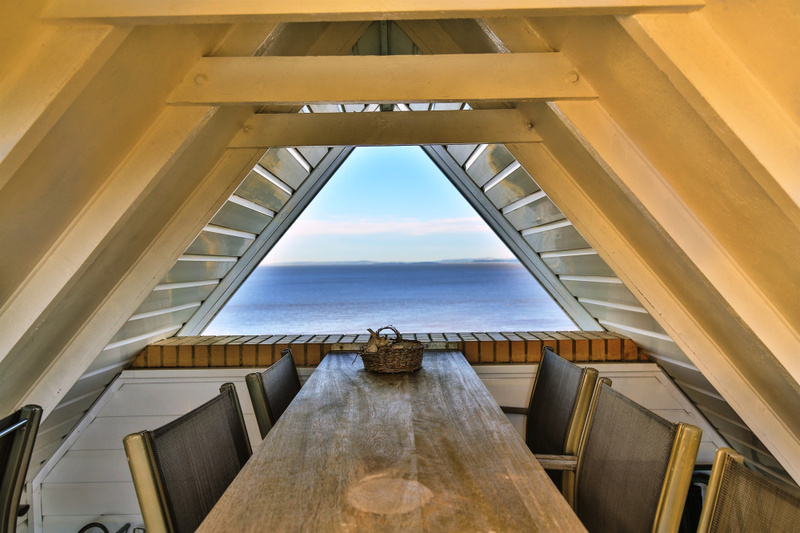 Double glazed windows with views of the Bristol Channel. Double glazed Velux roof light window. Fitted with a white suite comprising a panelled bath with shower fitment and shower screen, plus a wc with a concealed cistern. Tiled splash areas. Radiator. Ventilation extractor. Double glazed Velux window. 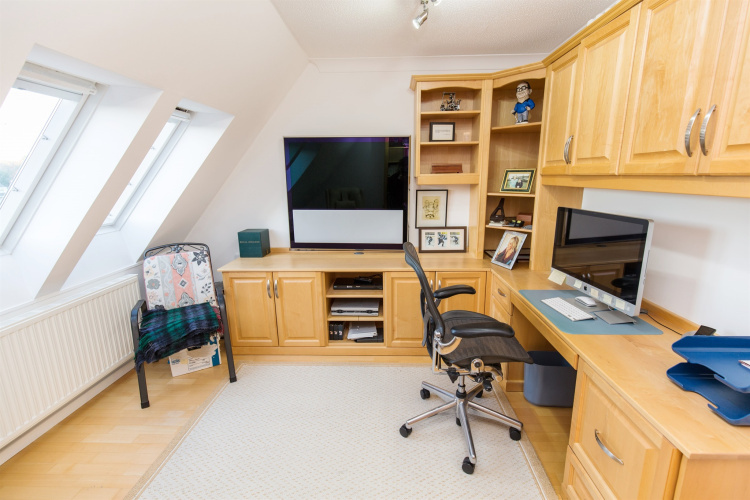 The third double bedroom is currently utilised as an office and been fitted with an attractive range of desk, wall and base storage units. Fitted book shelves with additional storage beneath. Radiator. TV aerial point. Coving to the ceiling. Access to eaves storage. Two double glazed Velux roof light windows (with fitted blinds) to the front aspect. A large shower room with a double size tiled walk-in shower fitted with a thermostatic rainfall shower and a feature glass brick wall. Also fitted with a wash hand basin and a toilet with a concealed cistern. Shaver point. Central heating radiator. Ventilation extractor fan. Velux double glazed window with fitted blind. A stunning feature of the Penthouse is the substantial, south facing roof garden which measures approximately 1000 square feet in size and enjoys commanding views of the channel from the Seven Bridge in the east to the North Devon coastline in the west. Specifically designed and created, this unique garden area has been fully decked and then bordered with metal pots which have been planted with variety of shrubs. The garden is ideal for al-fresco dining and entertaining, but for cooler evenings there is an additional covered and sheltered area with a large fitted table. Outside lighting, power points and water tap. 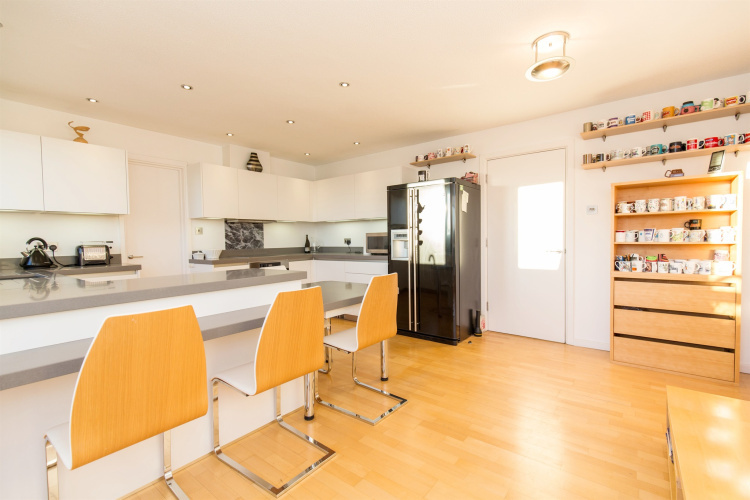 As previously described, the apartment also has a large (approx. 23'6 x 7'2) south facing balcony which has uninterrupted views up and down the channel and directly faces the West Country. The balcony can be accessed from the lounge, dining room and master bedroom. Outside lighting. 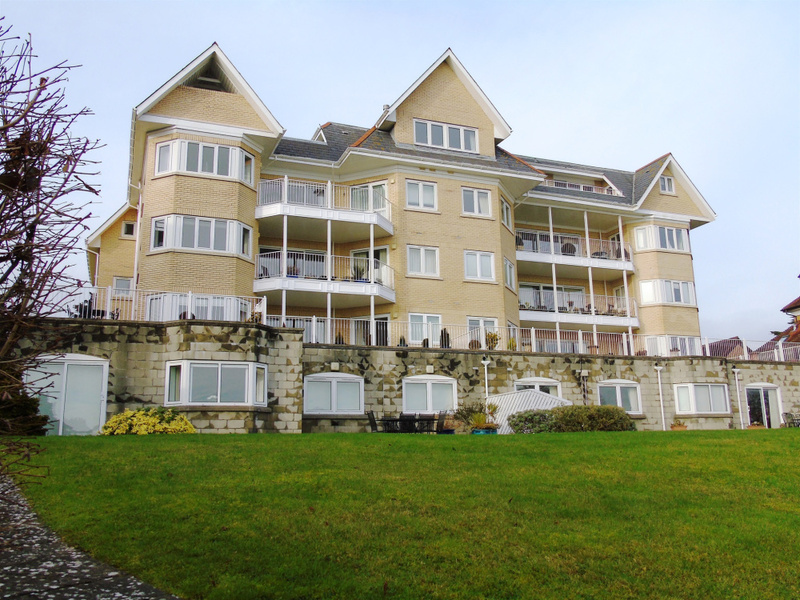 Park Tower is accessed from Bridgeman Road via electric wrought iron gates, with the driveway leading down to the basement parking area which is also fitted with electric roller shutter doors to provide additional security. 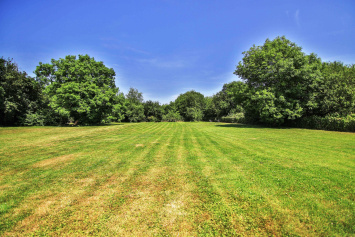 The walled front gardens are mainly laid to lawn and planted with a variety of mature trees and shrubs. Pathways either side of the building lead to the communal gardens at the rear. 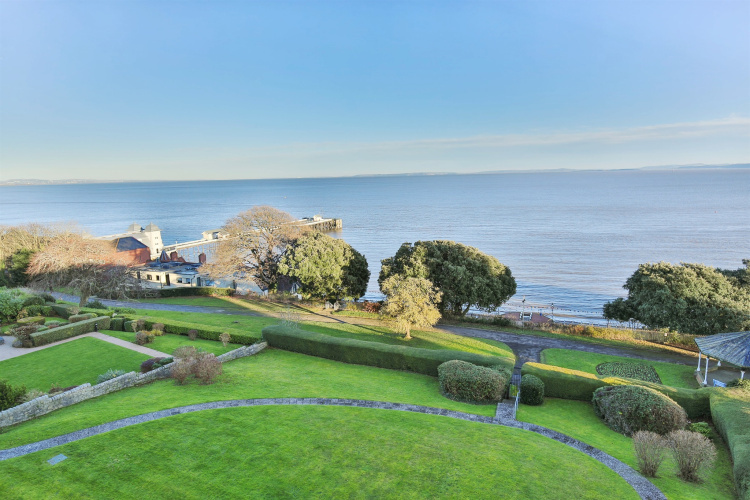 The well maintained communal grounds to the rear have beautiful views across the Bristol Channel and the Windsor Gardens which are directly in front. These gardens are mainly laid to lawn and have perimeter hedging, mature shrubs and seating areas. A Paved pathway leads to a secure access gate into the Windsor Gardens which in turn lead to the promenade. The basement garage is accessed directly via the lift/stairs from the fourth floor or the electric roller shutter doors. 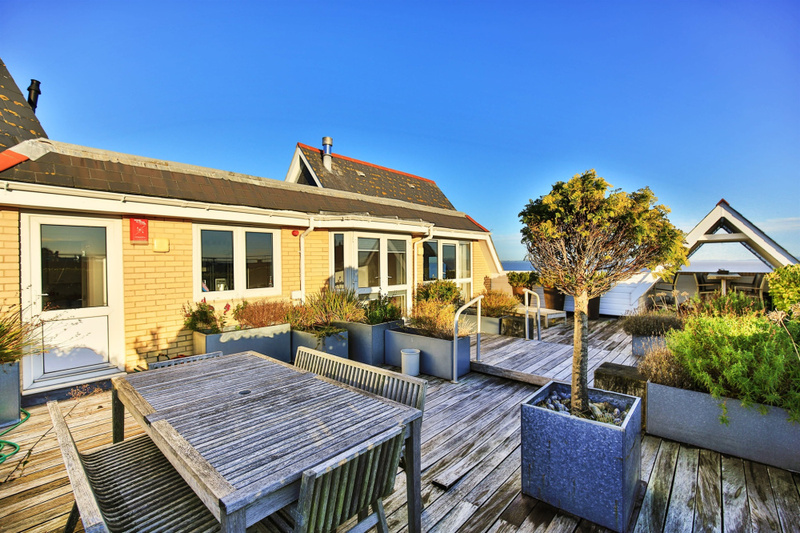 The Penthouse has two allocated parking spaces. Secure gates allow access to the communal grounds. Shared storage area. Power points. We understand the current annual service charge is £3,200 and is paid in quarterly instalments of £800. We are informed that the Council Tax Band for this property is I.